Today my guest is Sean Johnson. Sean is Assistant Brewer at the University of Northern Colorado Brewing Science Lab where he works with Dr Mosher teaching a 6 month brewing certificate program. He has a Master’s degree in Hop Chemistry and worked at Annheuser-Busch’s Barley Research team before joining UNC. We briefly discuss Porters and Stouts as well as their history which has some shared roots. Sean explains how Porter and Stouts evolved to become distinct styles. We talk about the popularity of Porters as well as their decline in the 1800’s as lighter beers became popular. He discusses some of the different styles of Porters and Stouts that have become popular today. We talk about brewing a complex English Porter and where the flavors come from- starting with the grain bill. He shares thoughts on good hop varieties to use in a Porter. We discuss hop/malt balance and how to achieve the right balance. Sean shares his recommendations for brewing yeasts to use with Porters and Stouts. We talk about which water profiles are most appropriate to these styles. Sean shares some tips for adding flavor complexity to a stout or porter. 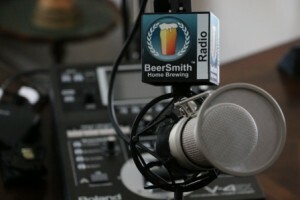 We spend a few minutes discussing the UNC brewing certificate program. Thanks to Sean Johnson for appearing on the show and also to you for listening!